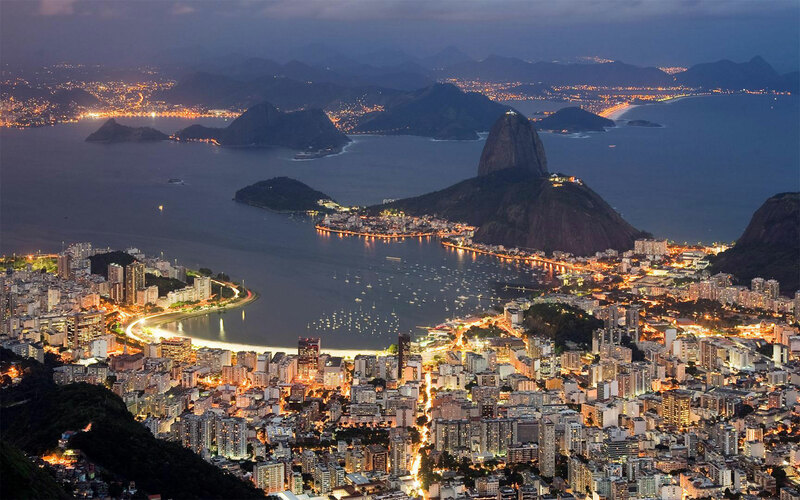 To book your Pestana Rio Atlântica New Year’s EveEntrance, choose the type of entrance and quantity followed by Book Now. If you have any questions or special requests, Email Us! All prices below are in US$. 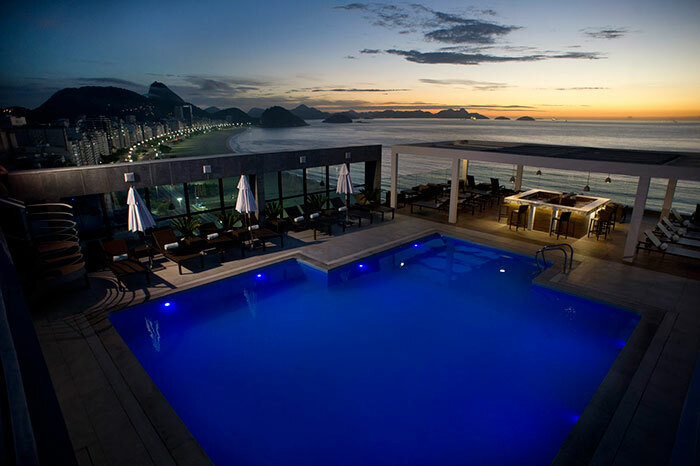 If you are looking to enjoy the World Famous Copacabana fireworks in cool, upscale & safe environment, we recommend spending New Year’s Eve on the rooftop deck lounge at the Pestana Rio Atlantica hotel, which hosts great parties throughout the year as well, so besides tourists, it will also have a local crowd. Please see the type of entrances offered below. 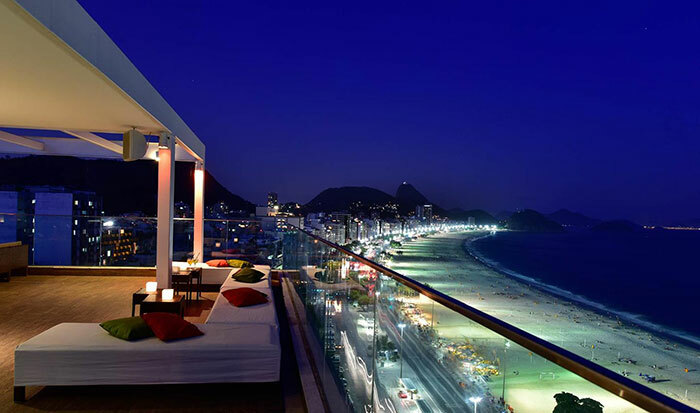 We also included less expensive dinner options besides the rooftop, but for an incredible view of Copacabana Beach and the fireworks, we highly recommend the rooftop! The solarium is an elevated area on the rooftop next to the pool and for Rio New Years, the hotel will use it as a more upscale section of the party with less people. The entrances includes Entertainment (DJ from Deck Lounge), premium alcohol (including imported champagne), non-alcoholic drinks, & Brazilian h’orderves flowing all night. 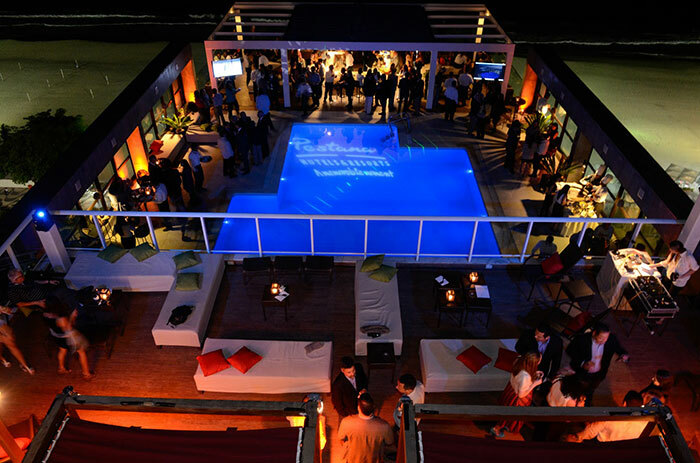 The deck lounge is the Rooftop of the Pestana Hotel and offers incredible panoramic views of Copacabana. The entrance includes Entertainment (DJ all night), premium alcohol (including sparkling wine), non-alcoholic drinks, & Brazilian h’orderves flowing all night. The Sao Pedro de Aldeia Hall is located on the 4th floor of the hotel and it has a Sea View to check out the fireworks. The entrance includes Entertainment (DJ all night), premium alcohol (including sparkling wine), non-alcoholic drinks, & Brazilian h’orderves flowing all night. 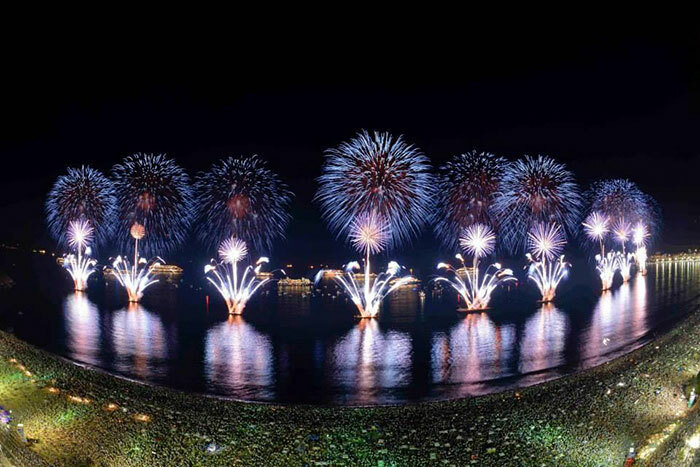 The Cais de Ribeira Restaurant is located in the hotel’s ground floor, so the view of the fireworks is minimal, but you can go to the beach to watch the fireworks and come back to the restaurant. The entrance includes a Buffet Dinner, Alcholic (including sparkling wine) & Non-Alcoholic drinks and entertainment (DJ in the lobby). The tables are for 10 seats and you will share with other guests.